With Maggi and its brand ambassadors in the dock over health concerns, Food and Consumer Affairs Minister Ram Vilas Paswan has told celebrities endorsing such products should not add "salt and pepper" in their ads, reported PTI. The Minister also said that the government will ensure "an adulteration-free India on the lines of its resolve to "have a corruption-free India". Stating that the Maggi noodles issue has ensured an increased public awareness about harmful effects of some food products, Paswan further said that there would be no compromise on the interest of the consumers. Maggi noodles have been banned by various states after lead and taste enhancer MSG (Mono Sodium Glutamate) was found to be in excess amount. The central food safety regulator FSSAI has also ordered a nationwide recall of all its variants by terming them as "unsafe and hazardous for human consumption". 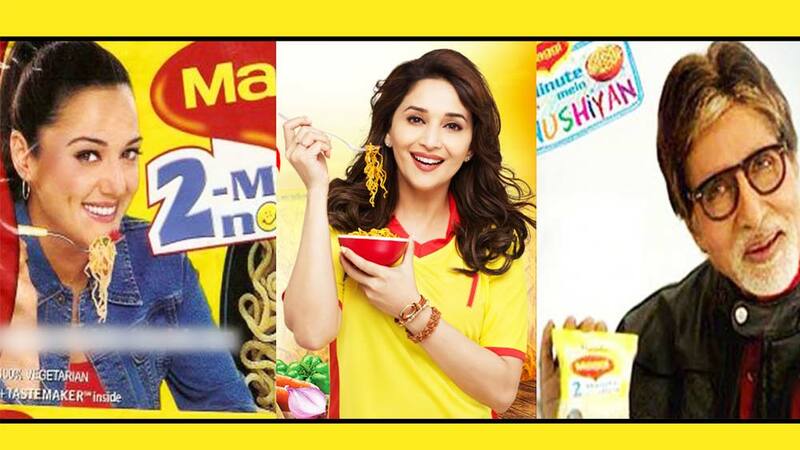 According to the government, the brand ambassadors would be liable for action if the Maggi advertisements are found to be misleading. Asked about the action against celebrity brand ambassadors, Paswan said, "If claims of the product are true, then there is no issue. However, one should not add salt and pepper, or exaggerate, while endorsing the product." The Minister further said it was "not only a question about Maggi noodles". "Fast food has become very common. And almost 10 to 15 per cent people eat out. In countries like US and UK, the kitchen is not part of some new homes," Paswan said, while adding that there was a need to ensure adequate checks against health risks when fast-food joints are on a surge. Reacting to reports about bromide content in mineral water bottles in Mumbai, the Minister said he has sought information on the issue. He also said that the government is considering an amendment to the Consumer Protection Act to bring e-commerce under its ambit. "Our objective is to protect consumers and for that we are planning to amend the Act," the minister told reporters. "There are complaints from various quarters that money was debited but goods were not delivered. Besides, there are cases where goods were delivered, but they were of inferior quality," he said. Earlier today, Paswan also chaired a meeting of a consultative committee of his Ministry here on increasing the use of Hindi in official communications.